Byron Allen‘s Entertainment Studios network, Recipe.TV just snagged a Daytime Emmy nomination. 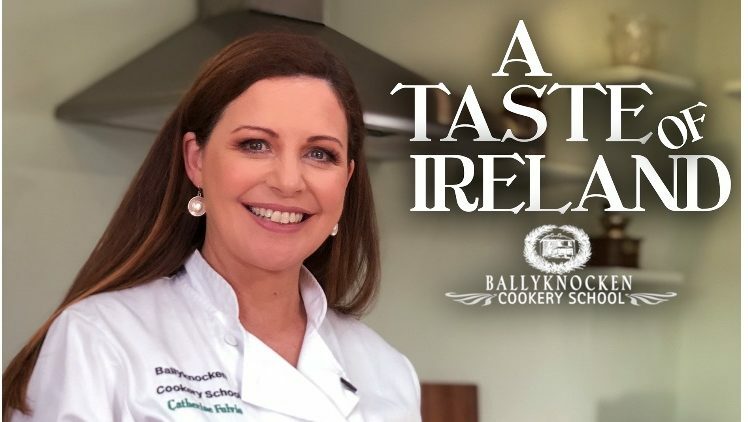 Catherine Fulvio is up for ‘Outstanding Culinary Host’ for her series, A Taste of Ireland: Ballyknocken Cookery School. Created and executive produced by Entertainment Studios’ multiple Emmy Award-winning producer, Lisa-Renee Ramirez, A Taste of Ireland: Ballyknocken Cookery School features the Irish TV celebrity chef and multiple cookbook author hosting from her Ballyknocken Cookery School in Ashford County Wicklow, Ireland. It is here where Catherine creates recipes with the freshest ingredients from local town artisans, as well as from her bountiful garden located on 450 acres of Ireland’s verdant pastures. In the picturesque town, Catherine introduces us to fishmongers, butchers, and sheep farmers, for a first-hand experience of Ireland’s seasonal cuisine and other tasty delights from the Emerald Isle. In 2012, Allen’s Entertainment Studios won the Daytime Emmy Award for ‘Outstanding Lifestyle Program’ for its series “CARS.TV”. That same year, two other Entertainment Studios series were nominated for Daytime Emmy Awards that year, both in the ‘Outstanding Legal/Courtroom Program’ category: America’s Court with Judge Ross and We the People with Gloria Allred. Entertainment Studios is one of the largest independent producers and distributors of first-run syndicated television programming for broadcast television stations, and owner of eight 24-hour HD television networks now serving nearly 160 million subscribers — including The Weather Channel television network and its streaming service Local Now.